Washington’s Birthday is a U.S. federal holiday celebrated on the third Monday of February in honor of George Washington, the first president of the United States. Increasingly, the holiday has become an occasion to celebrate the birthdays of both President George Washington and President Abraham Lincoln. Many Americans call the holiday Presidents Day. George Washington was born on February 22, 1732, on his father’s tobacco plantation in Colonial Virginia. He worked as a surveyor on the Virginia frontier and then became a major in the Virginia militia. After serving heroically during the French and Indian War, he returned to his family’s Virginia home, Mount Vernon, and became a successful planter. 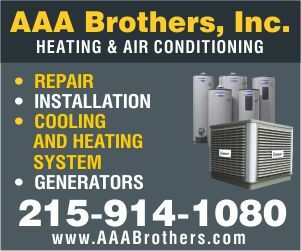 In 1775, when the American War for Independence broke out between the colonies and Great Britain, Washington was unanimously selected by the Continental Congress as commander in chief of the Continental Army. His small band of soldiers faced a well-equipped, professional army, but he led his often ragged forces to victory in the face of incredible hardships. The British surrendered at Yorktown, Virginia, in 1781. In 1976, the U.S. Congress posthumously promoted Washington to the rank of six-star general, assuring that he would forever outrank all other members of the military. Washington enjoyed nearly universal respect, not least for spurning all offers of political power at the moment of his military triumph. He instead chose to return to private life at Mount Vernon. In 1787 he presided over the writing of the U.S. Constitution, and once it was ratified, he became the unanimous choice to be the first president of the United States. He served two four-year terms, from 1789 to 1797. At the end of his second term, Washington was the most popular figure in America and could have continued as president, but he relinquished power, thereby setting a precedent for his successors. Abraham Lincoln was born on February 12, 1809, and became America’s 16th president in 1860. As president he guided his country through a great constitutional, military and moral crisis — the American Civil War (1861–1865) — after 11 of 15 Southern slaveholding states seceded from the United States to form the Confederate States of America. His Emancipation Proclamation, issued on January 1, 1863, outlawed slavery in the Confederate states still in rebellion. The proclamation changed the war from a conflict over states’ rights to a war whose aims included the destruction of slavery. Lincoln believed that a constitutional amendment was necessary to ensure the end of slavery, and he supported passage of the 13th Amendment to the Constitution, which was adopted in December 1865. Lincoln was shot to death by a Confederate sympathizer on April 9, 1865, five days after the Confederacy surrendered. February 22 was celebrated as a holiday by 19th-century Americans. At least a dozen states officially celebrate the third Monday in February as “Washington and Lincoln’s Birthday,” and another dozen states call it “Presidents Day.” In 1971, Congress fixed Washington’s Birthday and several other holidays on Mondays to create long holiday weekends. As much as both Washington and Lincoln are revered, the federal holiday officially remains Washington’s Birthday. The first president is also honored with many statues around the country and the 555-foot-high (169-meter) Washington Monument in the nation’s capital, Washington. 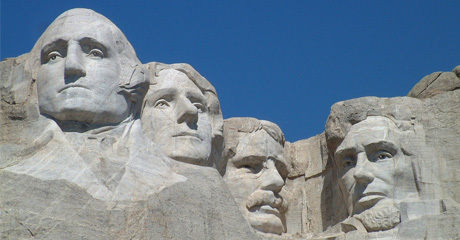 Likenesses of both Washington and Lincoln are carved in stone on Mount Rushmore in South Dakota, along with Presidents Thomas Jefferson and Theodore Roosevelt. The holiday is also a tribute to the general who created the first military badge of merit for the common soldier. Revived on Washington’s 200th birthday in 1932, the Purple Heart medal (which bears Washington’s image) is awarded to soldiers who are injured in battle. As with Memorial Day and Veterans Day, Washington’s Birthday offers another opportunity for the United States to honor its veterans.